Tradezone.com has been putting suppliers and buyers together for over 65 years. 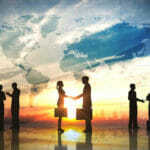 This site and Suppliers Directories focus on promoting International Trade. You are welcome to list your company and products here and we will do our best to provide great internet exposure for you. This website uses technical and functional cookies in order to improve your experience and keep your session.